Open House Saturday 11-1! Your search is over! 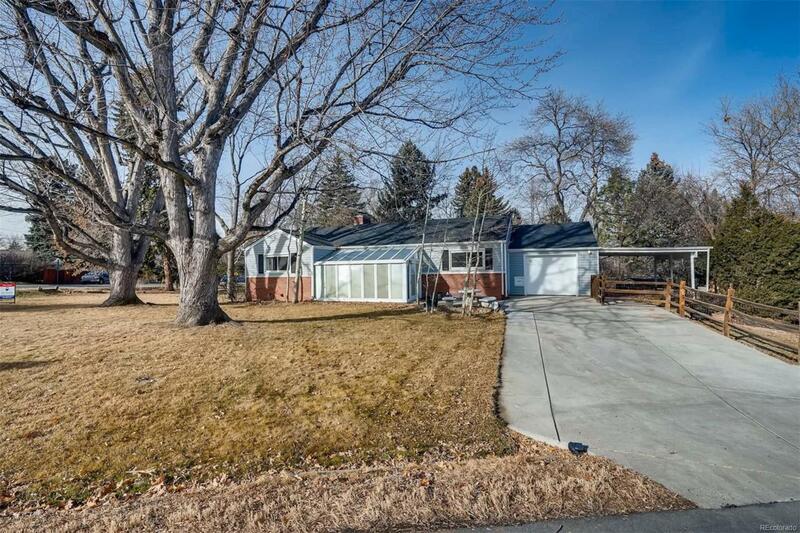 Sunny and well cared for ranch on corner lot in quiet Wheat Ridge with water rights! New roof, gutters, steel siding, dishwasher and paint. Large walk out basement to private yard, amazing heated sun room to enjoy all year, hardwood floors, updated kitchen with granite counters. Updated baths , lights and newer windows. Useful layout with large kitchen, formal dining room, kitchen eating space and half bath for your guests. Don't miss the private yard and secluded covered patio with apple and peach trees. Wonderful neighbors and community. Ditch WATER RIGHTS will keep your lawn and garden lush. Newer high efficiency furnace and central air conditioning. Large laundry room and plenty of extra storage and workshop in the basement. Close to hospital, transportation, restaurants and shopping. One year home warranty with a/c included with full price offer. Very well cared for home. One basement bedroom is non-conforming. Move in and enjoy!